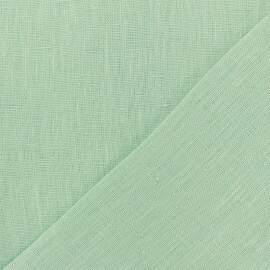 Beautiful plain fabric from Maison Thevenon. 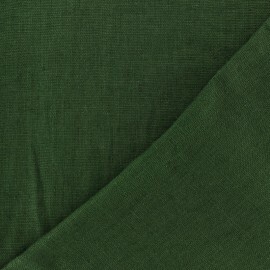 Pre-washed, this Peacock green linen fabric has a lovely floppy drape, ideal to create curtains, tablecloths, sheets...Washed linen fabrics become softer after each wash. 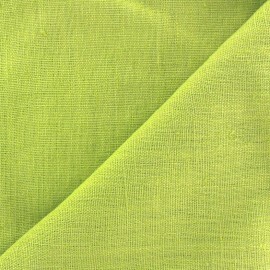 It is used mainly for the creation of home decorations and linen (tablecloths, sheets, tea towels) or as upholstery fabric. 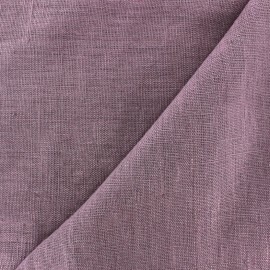 Beautiful plain fabric from Maison Thevenon. 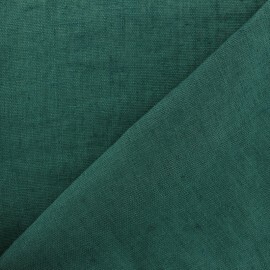 Pre-washed, this Pine green linen fabric has a lovely floppy drape, ideal to create curtains, tablecloths, sheets...Washed linen fabrics become softer after each wash. 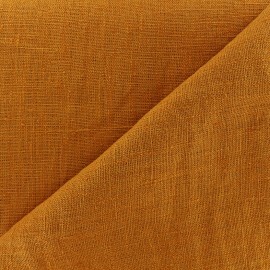 It is used mainly for the creation of home decorations and linen (tablecloths, sheets, tea towels) or as upholstery fabric. 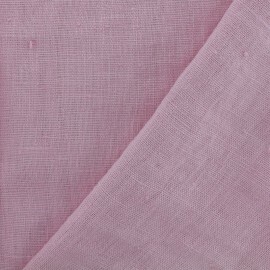 Beautiful plain fabric from Maison Thevenon. 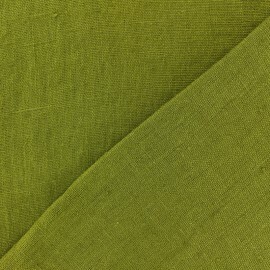 Pre-washed, this olive green linen fabric has a lovely floppy drape, ideal to create curtains, tablecloths, sheets...Washed linen fabrics become softer after each wash. 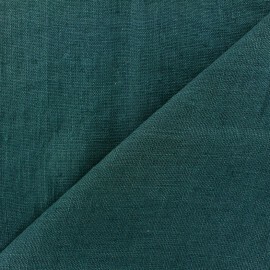 It is used mainly for the creation of home decorations and linen (tablecloths, sheets, tea towels) or as upholstery fabric. 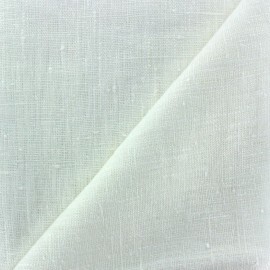 Beautiful plain fabric from Maison Thevenon. 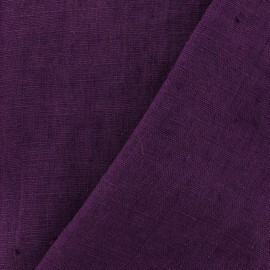 Pre-washed, this Purple linen fabric has a lovely floppy drape, ideal to create curtains, tablecloths, sheets...Washed linen fabrics become softer after each wash. 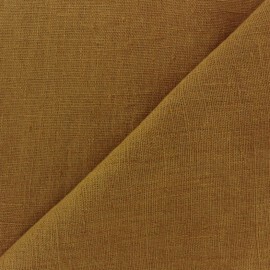 It is used mainly for the creation of home decorations and linen (tablecloths, sheets, tea towels) or as upholstery fabric. 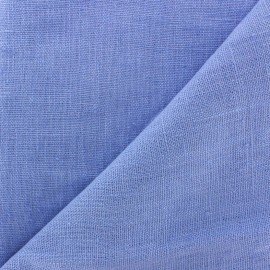 Beautiful plain fabric from Maison Thevenon. 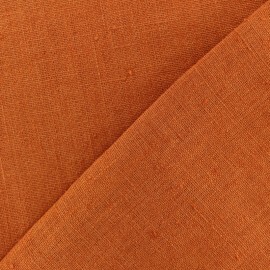 Pre-washed, this Pumpkin orange linen fabric has a lovely floppy drape, ideal to create curtains, tablecloths, sheets...Washed linen fabrics become softer after each wash. 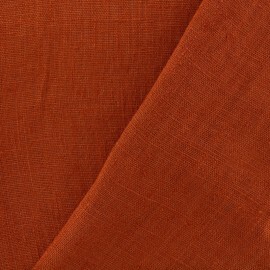 It is used mainly for the creation of home decorations and linen (tablecloths, sheets, tea towels) or as upholstery fabric. 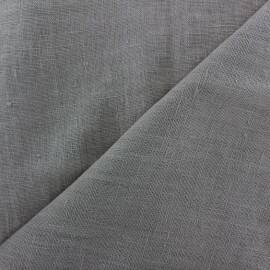 Beautiful plain fabric from Maison Thevenon. 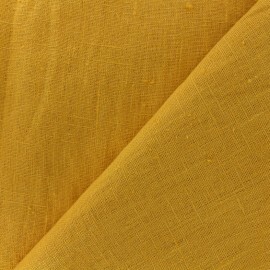 Pre-washed, this Lemon Yellow linen fabric has a lovely floppy drape, ideal to create curtains, tablecloths, sheets...Washed linen fabrics become softer after each wash. 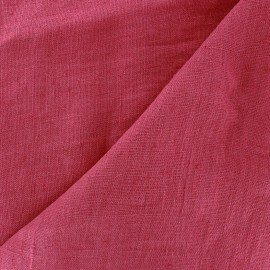 It is used mainly for the creation of home decorations and linen (tablecloths, sheets, tea towels) or as upholstery fabric. 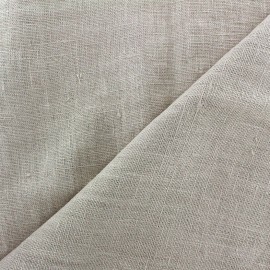 Beautiful plain fabric from Maison Thevenon. 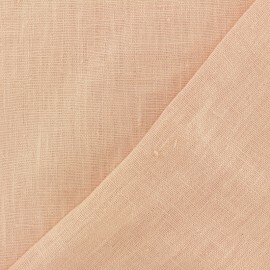 Pre-washed, this light pink linen fabric has a lovely floppy drape, ideal to create curtains, tablecloths, sheets...Washed linen fabrics become softer after each wash. 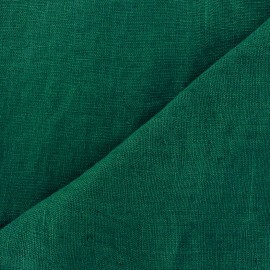 It is used mainly for the creation of home decorations and linen (tablecloths, sheets, tea towels) or as upholstery fabric. 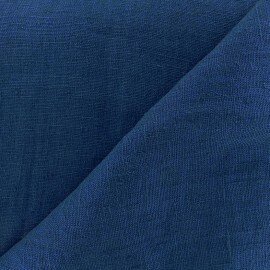 Washed linen softens over washings. 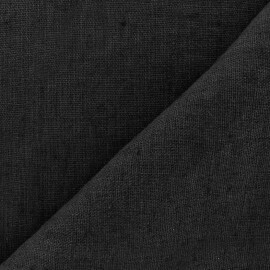 It is used mainly for the creation of household linen (tablecloths, sheets, tea towels) or as upholstery fabric (curtains, curtains). 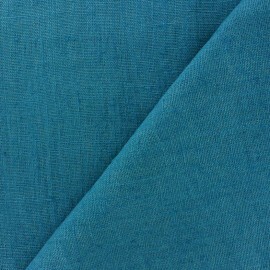 Fell in love with our upholstery fabric. 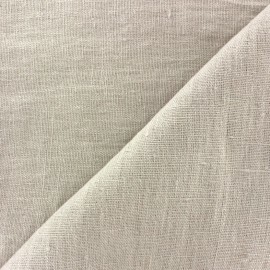 Durable, supple and resistant, natural linen is a top interior trend. 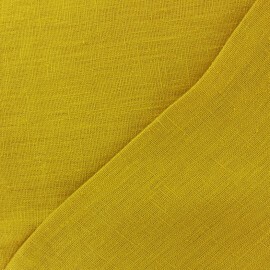 I has unique texture made from the washing you will be able to create amazing structured pieces. 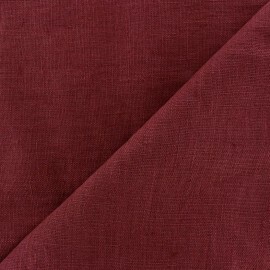 At your online fabric shop Ma Petite Mercerie, we offer a wide selection of high quality washed linen fabrics. Choose from our vast color palette. 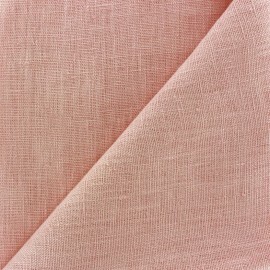 Enjoy our different pastel tones, from powder pink, fog, anise, parma, to linen, pearl grey or light grey. 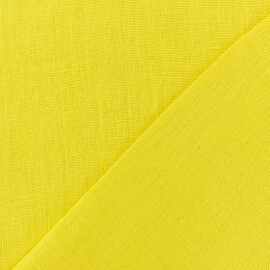 Discover as well our bright stylish colors: fuchsia, red, petrol blue, yellow, bottle green and more. Plus, our minimum order quantity is 10 cm. 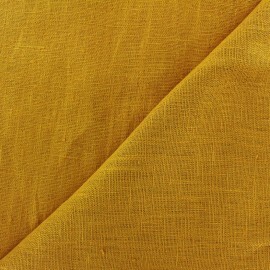 Then, you can purchase your fabric either by the meter or by the yard. 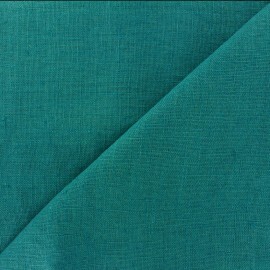 Don’t forget to order a swatch or several upholstery fabrics swatches prior to ordering. This fabric freys a little. Nevertheless, it is a durable material which does not pill. 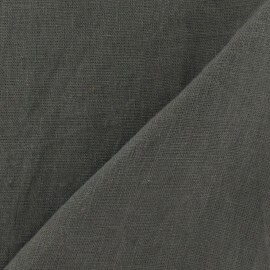 Thanks to our washed linen fabric, you will be able to sew redo or renovate your interior. 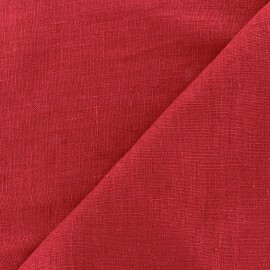 Create tablecloths, runners, aprons, throws, duvet cover, valance or pre washed linen cabinet. 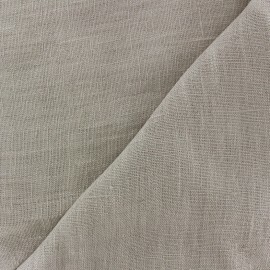 Also, our washed linen fabric is perfect to sew rod pocket curtains. 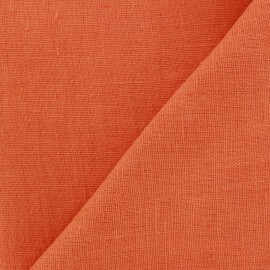 Use our eyelets and curtains accessories to build the perfect washed linen drapes blind. With your sewing machine, threads and needles, sew 100% natural embroidered napkins or soft washed linen bedding sets: pillows, decorative blanket, towels, pillowcases, cushions, flat sheet, duvet covers, sheet set and more. If you have a few notions in refurbishing furniture, choose several yards of washed linen fabric then reupholster a cabinet, accent armchair, sofa or ottoman. Help yourself with our foam, foam pads and furnishing accessories. 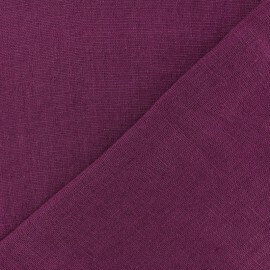 Our linen fabric is easy to sew with a 80 needle. Be careful and dot not dry clean your upholstery fabric. 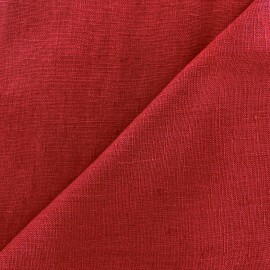 Washed linen fabric make a lovely drape for curtains or throws. 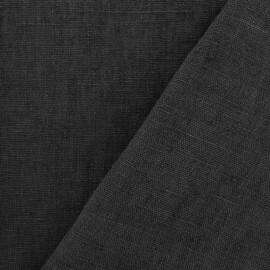 Furthermore, you may want to sew a blackout curtain lining if you care to protect your washed linen curtains from fading. Be inspired and discover all of our other home decor furnishing fabrics: faux leather furnishing fabric, cork, foam, quilted fabrics with stripe, blackout fabrics, faux suede, textured twill, jacquard drapery, cotton cloth upholstery fabric, velvet, polyester and so forth.